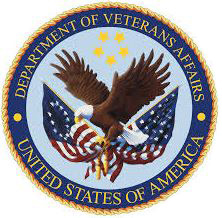 Under the new program, Veterans Affairs allows Western Sierra to handle many health care services for veterans who live more than 40 miles away or must wait more than 30 days for an appointment at the closest VA medical facilities in Sacramento, Auburn or Reno. The Veterans Choice Program, established in November 2014, greatly improves access to health care and reduces often lengthy waits for medical appointments at VA facilities. Veterans seeking to use the Veterans Choice Program should call 866-606-8198 to confirm eligibility and schedule an appointment. Western Sierra offers numerous health services, including medical and behavioral health, to the 10,500-plus veterans in the region. Western Sierra’s staff is proud to provide health services to local veterans, said Western Sierra CEO Scott McFarland. Currently, the clinic has about 465 patients who are veterans. The Veterans Choice Program will hopefully encourage more veterans to seek much-needed health care services closer to home rather than delay medical treatment because of long drives or possible long waiting times for appointments at VA facilities, said Dr. Glenn Thiel, Chief Medical Officer of Western Sierra. We’ll take excellent care of our veterans, who deserve our gratitude, respect — and the best possible health care.